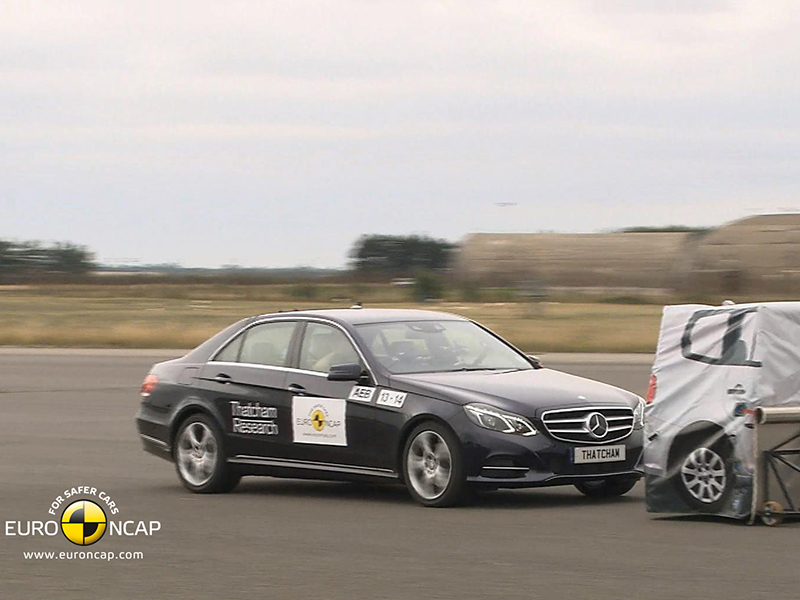 Brussels 29 October – Euro NCAP releases the first results of rear-end crash avoidance systems tested against the upcoming 2014 rating protocol. Eight vehicles have been compared with respect to their performance on the test track. Real world claims data suggest that Autonomous Emergency Braking (AEB) systems can reduce rear end crashes by one quarter or more and lead to a significant reduction of injuries. As from January 2014, Euro NCAP will in its rating scheme give credit to vehicle manufacturers that equip their models with robust forward collision warning and/or automatic braking technology.